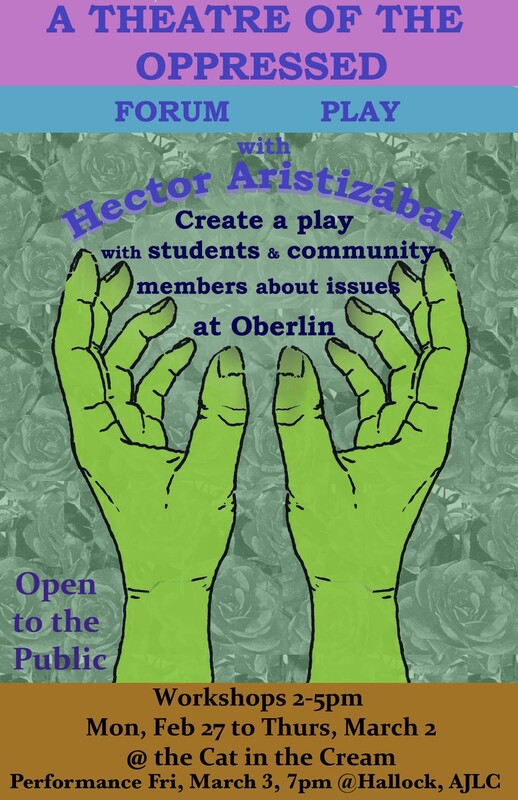 For a 12th consecutive year Hector Aristizabal has been invited by a group of Oberlin students to offer theater workshops, performances and puppetry to the community of Oberlin at both the College and the High School as well as developing a forum theater play with the inmates at Grafton Rehabilitation Center. Please come an join us. This year we will develop a Forum Theater play dealing with issues of interest to the community. If you can’t join us for the workshops please join us for the public performance. This entry was posted in All Events. Bookmark the permalink.